Add a phone from the catalogue below. Note: Trade-in is not available for Twin Deal purchased via online. The courier reserves the right to reject trade-ins which do not meet the above criteria at the point of delivery. Trade-ins are applicable only with the purchase of mobile phones (for selected models only) and there will be no refund of differences in trade-in value, if any. Select the desired mobile phone that you wish to purchase. Proceed with selecting new or re-contract, followed by desired price plan and Value Added Service (VAS) if applicable. 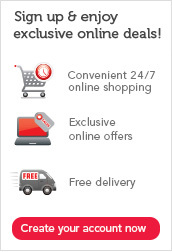 At Your Order page, select the brand and model of the mobile phone you would like to trade-in. The value of your trade-in phone will be reflected. Read the trade-in phone agreement, and tick the box beside the trade-in agreement to indicate your acceptance. The value of your trade-in phone will be offset from your total bill. This is indicated under the order details section at the bottom right hand corner of the page. We accept eNETS and Credit Card payment by Visa / MasterCard. 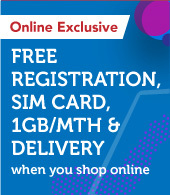 Promotion stated here is only available for purchase via business.singtelshop.com. All prices shown with GST. Contact Us About Us Standard Agreement Copyright © Singtel (CRN: 199201624D) All Rights Reserved.